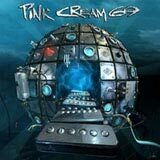 Pink Cream 69 reemerged onto the metal scene in the late 90's with the release of Electrified. The guys have not looked back since, kicking out consistently strong melodic rock albums ever since. It has been 2 years since the band's last studio album, Endangered. The two year hiatus has paid off for the band as Pink Cream 69 has delivered a fresh sounding album that could arguably be considered the band's best work since their "comeback" in the late 90's. The eerie introduction to the album suggests that this album will be darker in nature than their previous material. Heading into the title track, it seems as if this album will signify a change in style for the band. The title track is a moody, sluggish tune featuring a downtuned, yet meaty guitar sound. Somewhat uncharacteristic from the bands usually upbeat disposition, Thunderdome (the track) still contains the infectious melodies and quality musicianship that make this band what they are. I'm not sure if they could successfully pull a Dark Ride album out their pocket like Helloween, but they effectively show another side of themselves for a brief moment to open up the album. A more familiar riff driven tune in Gods Come Together follows up, and it is a much better indication on how the album will progress. A heavy, bold riff and a wail from David Readman kick off this track in style and one thing becomes evident to me right away. The guitar work is much stronger on this album as opposed to Endangered. This is certainly a good sign for me as it seemed the band was becoming softer with their last album. Over the course of Thunderdome, my initial observation on the guitar work proves to be true as the riffs are indeed more aggressive, the solos more prevalent and inspired, and even the bass guitar has a more authoritative sound on this album. David Readman delivers an excellent and emotional performance behind the mic, especially on That Was Yesterday. Not normally a huge fan of ballads, I have to tip my hat to Readman on this track. Readman also shines on the rest of the album as it sounds like he has really connected himself with these particular songs. I would have to say that his performance on this album rivals only Sonic Dynamite for his best vocal performance in PC69. Aside from the one true ballad of the disc, That Was Yesterday, the remainder of the disc delivers a consistent helping of hard rocking tunes that is free of filler material. As I had mentioned earlier, it seems that the band's two year hiatus allowed the band sufficient time to write a complete album of quality material instead of an album with 8 or 9 good tracks and 3-4 fillers. The guys sound refreshed and reenergized on this album. Thunderdome is full of killer tracks that will stay with for quite a long time and keep this CD in your CD changer for weeks. The turn toward a more aggressive guitar sound is a most welcome improvement and the selling point of the CD for me. This album is less "happy" than previous works, certainly a far cry from their glam beginnings. To a lesser degree, this adaptation of a more aggressive sound is similar to what we heard from Heavenly earlier this year. At this point in their career, the injection of a little "attitude" into their music is the perfect remedy against becoming stale and repeating themselves. Without a doubt, Thunderdome is blind buy for fans of the band and those who enjoy melodic hard rock.